What’s New in Effective Java’s Third Edition? 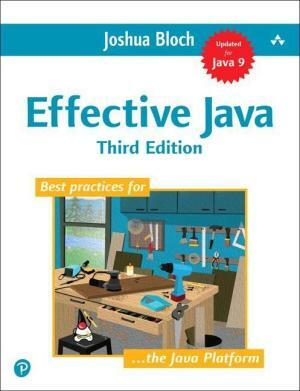 Effective Java 3rd Edition contains a lot of changes as compare to 2nd edition. Here is some idea about what is new in effective java 3rd edition. Effective Java 3rd Edition contains some new ideas for developers to know about java 7, java 8 and java 9. there are several changes with 12 chapters encompassing 90 items covering well over 350 pages. Even Its effective java 1st edition received appreciation from the inventor of java language. He himself said that he need this book sometimes to encourage the programmers as well as readers of the world. 2. Joshua Bloch is considering revising concurrency chapter, time permitting. 3. A whole chapter on lambdas and stream. 4. New library features such as the Optional interface, java.time, and the convenience factory methods for collections. 5. NIO 2.0 introduced in JDK 7. 6. Functional programming constructs that were added to its object-oriented roots. 7. Functional interfaces, lambda expressions, method references, and streams.